BLUE RIBBON SUSHI IZAKAYA WILL OPEN AT RED ROCK RESORT: New York-based, Blue Ribbon Restaurants will celebrate the return of Blue Ribbon Sushi to Las Vegas when it opens later this year at Red Rock Resort bringing an all-new Japanese-style tavern with a traditional sushi bar with indoor and outdoor seating to the Summerlin area. The restaurant with a happy hour and even late-night dining will offer a variety of small bites, entrées and family-style platters, providing options for vegetarians, sushi fans and meat lovers. A full bar will feature an extensive wine and sake list. 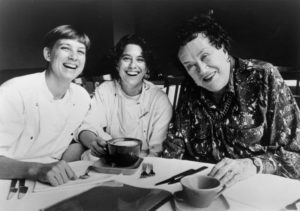 Blue Ribbon Restaurants was founded by chefs and brothers Bruce and Eric Bromberg in 1992 with the opening of their famous Blue Ribbon Brasserie in SoHo. Now the company owns and operates more than 20 culinary destinations around the country. VDARA INTRODUCES ROBOT BUTLERS: Vdara has introduced two new team members Fetch and Jett. The Relay robots are responsible for making deliveries to guest suites with snacks, sundries, morning coffee, spa products, etc. The talented bots work alongside human colleagues. Robot developer Savioke designed and built the fully autonomous indoor delivery robots using advanced technology to seamlessly navigate around people and objects. 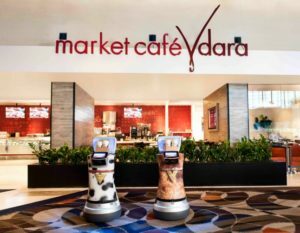 The robots can prioritize multiple requests and wirelessly communicate with the hotel’s systems – even operating elevators. Upon receiving a request, an employee loads items into the robot’s secure, tamper-proof compartment, inputs the guest’s room number, and hits the “go” button. ‘THE HILARIOUS 7’ OPENS AT HOOTERS: Hooters in conjunction with Admit.VIP has opened its newest comedy production, “The Hilarious 7,” in The Night Owl Showroom. Appealing to short attention spans and as a departure from typical stand-up comedy, seven comics deliver an ‘all punchlines’ comedy bout in 70 minutes. The show hosted by Las Vegas-veteran comedian, John Hilder, runs Tuesday and Friday evenings at 7 p.m. Tickets are $34.95.Each comic has a short time period to deliver their top jokes to win over the audience, who will determine who is the funniest that night. Each week, guests can experience different comics going head-to-head in an all-out battle. CARMINE’S CELEBRATES FIVE YEARS AT THE FORUM SHOPS: Carmine’s in The Forum Shops in Caesars opened its 750-seat eatery in July of 2013 and celebrates its fifth anniversary all this month. Carmine’s is offering $5 Meatball Sliders and $5 anniversary aperitivo every day during Happy Hour from 2-6 p.m. and from 9:30 p.m. to closing at the bar. 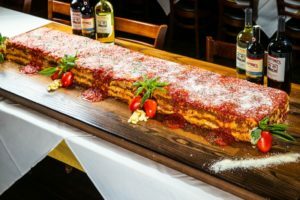 The restaurant will wrap up the anniversary month by creating a five-foot-long, nine-inch-high, 90-pound version of the already oversized lasagna and will serve complimentary slices to guests dining at Carmine’s on Sunday, July 29, which is also National Lasagna Day. MARTHA STEWART FOOD AND WINE FESTIVAL WILL VISIT LAS VEGAS: The Martha Stewart Wine & Food Experience, which is part of a 12-city culinary series, has a stop planned on Saturday, Oct. 13 at the outdoor Las Vegas Festival grounds at Las Vegas Blvd. and Sahara. The event description is “a savory exploration showcasing fine food, wine, beer and spirits from local and national chefs and mixologists.” Tickets are $85 for a three-hour grand tasting from 1-4 p.m., which will include a cooking demonstration from Stewart and the chance to explore various kitchen gear and other products. Chefs from the MGM Resorts International family will provide samples of their cuisine, and top Las Vegas mixologists and sommeliers will be on hand to provide sips of cocktails and wine. VIP and Master Class tickets will also be available. NEW CIGAR-DINNER AVAILABLE AT CLUBHOUSE AT MONTECRISTO: At Caesars Palace, the Montecristo Cigar Bar and Old Homestead Steakhouse are joining forces to allow guests to enjoy both cigars and fine dining at the all-new Clubhouse at Montecristo by Old Homestead, which has been transformed into an intimate semi-private space for up to 10 guests. A 55-inch HD television makes the room compatible for watching sports. Dinner is available every night. NEW ELECTRONIC MUSIC FESTIVAL ANNOUNCED: The Downtown Las Vegas Events Center with partner Collective Zoo will hold the first ever Collective Zoo Block Party on Saturday, Sept. 1 with performances by electronic music favorites including Chris Lake, Walker & Royce, SINDEN, Golf Clap, Lucati, Teig, Flashgang and more. Doors will open at 4 p.m. Tickets start at $25 and VIP packages at $50. On-site offerings will include food trucks, full-service beer garden, live art displays and experiences, a 2,200-square-foot pool, yard games, and more. 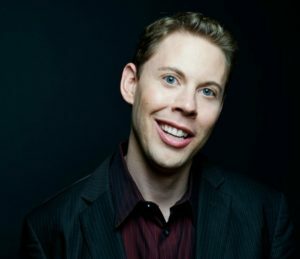 RYAN HAMILTON RETURNS TO RIO’S COMEDY CELLAR: Comedian Ryan Hamilton is returning to Las Vegas for a performance at the Comedy Cellar at the Rio on Monday, Aug. 6 at 7 p.m. Tickets are $45. 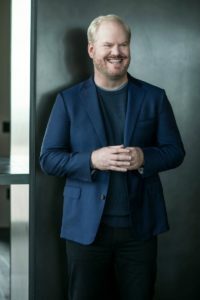 Hamilton recently released his first stand-up special on Netflix titled “Happy Face.” He grew up in rural Idaho and has become a favorite in the New York stand-up comedy scene. Hamilton has been named one of Rolling Stone’s “Five Comics to Watch.” He’s opened for Jerry Seinfeld as well as Gad Elmelah at Carnegie Hall. FREED’S BAKERY HOLDS CUPCAKE DECORATING CLASSES: Freed’s Bakery, featured on Food Network’s show “Vegas Cakes,” is offering hamburger and ice cream cupcake decorating crash classes Aug. 2-10 designed for children ages 6-12. Each spot purchased is for a child and/or an adult and includes taking home what you decorate. The hamburger class is 15 minutes on Saturday, Aug. 4 and Thursday, Aug. 9 and includes decorating two cupcakes for $18.95. 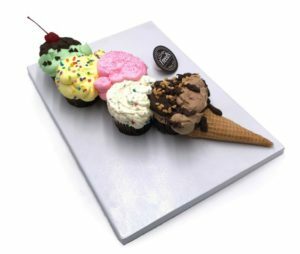 The ice cream cupcake course is 20 minutes on Thursday, Aug. 2 and Friday, Aug. 10 for $44.95. Visit the bakery’s website for registration and details. Celebrity Chef Robert Irvine will celebrate the one-year anniversary of Robert Irvine’s Public House at the Tropicana with an anniversary bash on Saturday, July 28 starting at 6 p.m. with a special selection of a la carte dishes, and an hourly beer rotation menu. Live entertainment starts at 9 p.m. featuring Blues and Rock party band The Steel Benders along with the first bite of the restaurant’s all-new happy hour menu until 11 p.m. 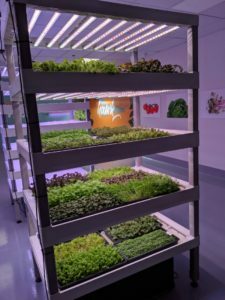 Founded in 2017, Las Vegas-based Oasis Biotech, one of the nation’s largest hydroponic vertical farming facilities of its kind, will open Evercress at 6225 Annie Oakley Drive, the company’s first consumer-facing produce brand dedicated to helping the organization “Feed the World. 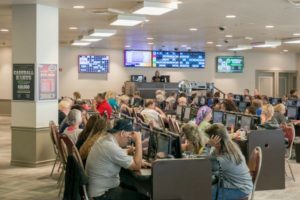 Better.” Completion of phase 1 of this new facility will provide Las Vegas restaurants and eventually grocers with more than a million pounds of produce per year. Known for its farm-fresh ingredients, modern atmosphere and community involvement, Rolled Ice Cream founded in 2017 opened its fourth location at 4870 Blue Diamond Road, Suite 100. Menu items remain consistent with previous locations featuring more than 40 unique rolled creations, the ability to create your own roll, and dairy-free options. 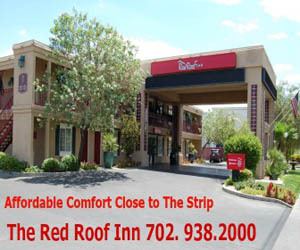 Hours of operation are Monday through Thursday from noon-10 p.m. and Friday through Sunday from noon-11 p.m. The Distill Summerlin at 10820 W. Charleston will hold its first Christmas in July holiday-themed party with a costume contest on Saturday, July 28 at 7 p.m. There is no cover for the party. Ferraro’s Restaurant & Wine Bar next Taste & Learn event will be held Saturday, July 28 at 6 p.m. Cost is $65 inclusive. On Mondays, Honey Salt in Summerlin is offering half-off on featured favorites from starters to entrées. Portland is the next Culinary Road Trip destination inside the Las Vegas Room at the Downtown Grand on Wednesday, Aug. 8 at 6:30 p.m. Chef Scoot Commings’ 14th stop in his ticketed dinner series will feature a menu inspired by local favorites, which he is calling “Welcome to the Weird.” Tickets for the multi-course dinner are $55 and include live music along with five perfectly-paired cocktails. Rock & Reilly’s, located at the Hawaiian Marketplace on the Strip, offers a daily “All You Can Drink” deal from noon to 2 a.m. with unlimited same-day re-entry. For $50, guests can enjoy an open bar with selective offerings including: five draft beers; premium liquor; Reilly’s Ginger Whiskey; a selection of well liquors; and four specialty cocktails. A $30 “All You Can Drink” option with fewer selections is available daily from noon to midnight. 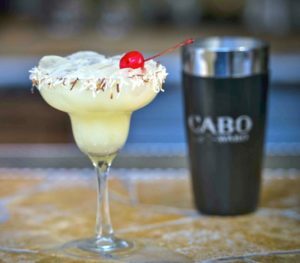 Strip-side Cabo Wabo Cantina at Miracle Mile Shops at Planet Hollywood will celebrate National Rum Day on Thursday, Aug. 16 with a wide selection of rum cocktails including The Painkiller, Sammy’s Toasted Colada and Bahama Mama, each for $14; and more. Boteco at 9500 S. Eastern Ave. will hold a Takes Meat To Tango Tasting Menu on Thursday, Aug. 9 featuring Argentinean Beef and the best of in Malbec Wines. Price is $45 with wine pairing included; call 702-790-2323 for reservations. Forge Social House, which is a hidden treasure in Boulder City, will hold a four-course Veal Marsala dinner on Saturday, Aug. 4 at 7 pm. Cost is $48; email forgesocialhouse@gmail.com. Four-time Grammy® Award winner Lionel Richie’s final residency shows at Zappos Theater at Planet Hollywood will run Aug. 15 through Oct. 20. “Lionel Richie – All The Hits” made his premiere in 2016. Tickets begin at $59. Toto’s “The 40 Trips Around The Sun World Tour” will headline the Sunset Amphitheater at Sunset Station on Friday, Aug. 10. Tickets are $35, $45 and $55. Rock icon Alice Cooper, who released his 27th album “Paranormal” last year, is making “A Paranormal Night with Alice Cooper” tour stop at the Pearl Concert Theater at the Palms on Friday, Aug. 10 at 8 p.m. Most recently, Cooper made news portraying King Herod in the live television production of “Jesus Christ Superstar.” Tickets start at $59. 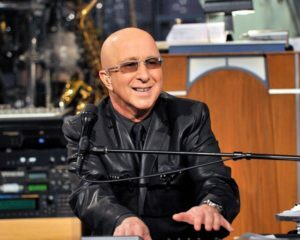 Paul Shaffer along with his band, The Shāf-Shifters, will return to Cleopatra’s Barge at Caesars Palace to perform a limited three-week engagement on select dates: Sept. 6–8; Oct. 11–13; and Nov. 29–Dec. 1 at 8 p.m. Tickets start at $49. In celebration of National School Month, which is August, “Xavier Mortimer’s Magical Dream” show at Planet Hollywood in the Sin City Theatre is offering complimentary VIP seating upgrades to students with a valid school ID who purchase a general admission ticket, which starts at $49 at the theatre’s box office. Performances are at 7 p.m. Saturday through Thursday. The nonprofit Super Summer Theatre is continuing its 43rd outdoor Summer Series with “Peter Pan, A Musical Adventure” playing Aug. 1-18. Performances at Spring Mountain Ranch State Park will run Wednesday-Saturday with general admission tickets priced at $15. Rita Moreno will be the honoree for the Nevada Ballet Theatre’s 35th Black & White gala fundraiser scheduled for Jan. 26, 2019, at Aria. 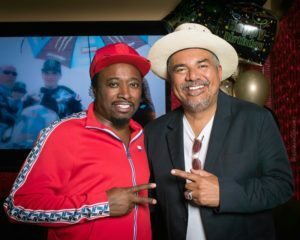 Actor-comedian Eddie Griffin, who headlines his own show in The Sayers Club at SLS Monday-Wednesday, celebrated his 50th birthday recently with a surprise party held for him at El Dorado Cantina with family and friends like comedian George Lopez and MJ The Legend, Jalles Franca. 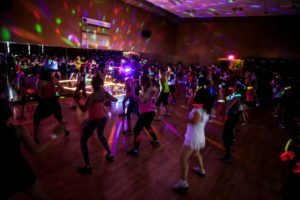 THE MINT CELEBRATES NATIONAL DANCE DAY: The Mint Tavern at 332 W. Sahara Ave. will celebrate National Dance Day on Friday, July 27 with a retro dance party featuring local dance company, Swing Dance Vegas. At 7:30 p.m., revelers dressed in1950s-themed attire can learn how to jump and jive during progressive swing dance lessons. Free drop-in swing lessons will follow at 8:30 p.m. and the party at 9 p.m. Festive drink specials will include “Slow & Low” old-fashioned cocktails for $5. ***Publisher’s note: Please note, the original posting of the event below has been deleted from this page due to cancellation of the event. Latin Grammy Awarding-winning música urbana artist, Tego Calderón, with special guest Diego Val, will take over M Pool as part of M Resort Spa Casino’s concert series. Tickets, starting at $27, are now sale now and can be purchased by visiting theMResort.com, ticketmaster.com or calling 800-745-3000.by visiting theMResort.com, ticketmaster.com or calling 800-745-3000.